Henryk Górecki - Krzysztof PASTOR / Henryk Mikołaj GÓRECKI - "I PRZEJDĄ DESZCZE..."
Beautiful improvisation of Rue de Cascades. Henryk Gorecki: Sonata No. 1, Op. 6 - Allegro molto, con fuoco / Grave pesante e corale / Allegro vivace Piano: Terés Löf Venue: Piano Festival 2009.
by motiofixo. Big big thanks to Mr Ghaz! 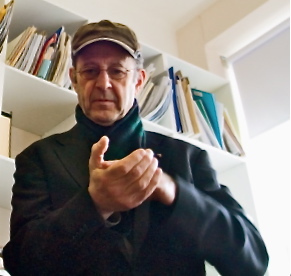 Eight Lines, a work by American minimalist composer Steve Reich, was originally titled "Octet".